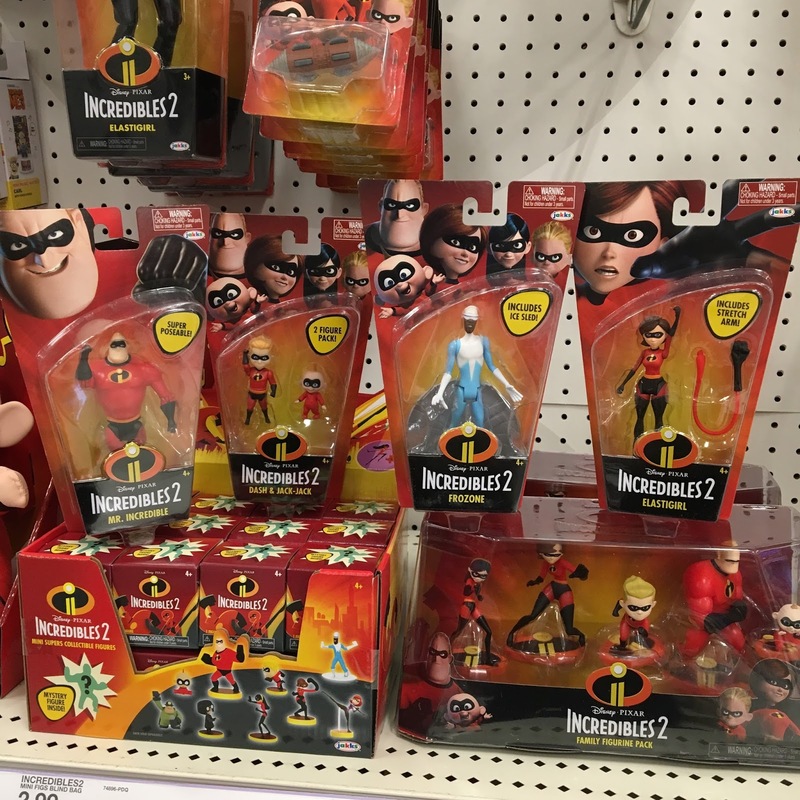 Dan the Pixar Fan: Jakks Pacific Incredibles 2 Toys OFFICIALLY OUT TODAY! 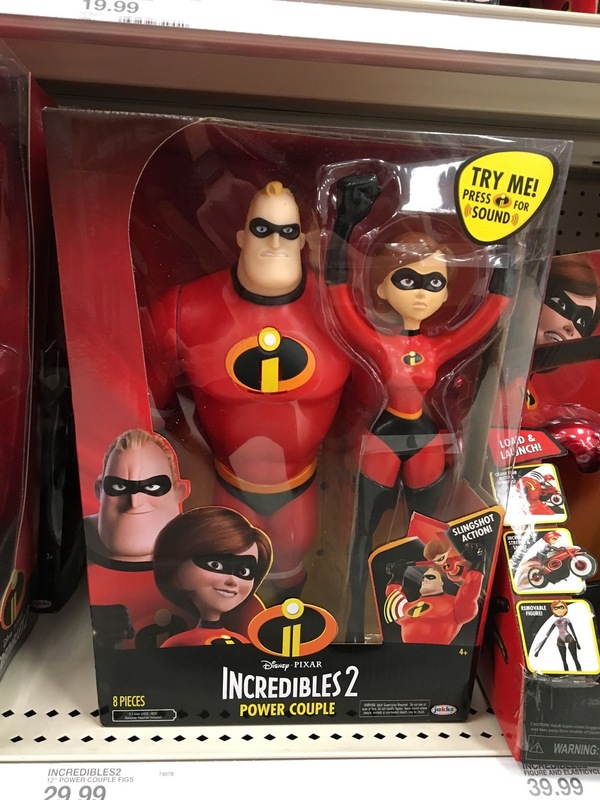 Jakks Pacific Incredibles 2 Toys OFFICIALLY OUT TODAY! 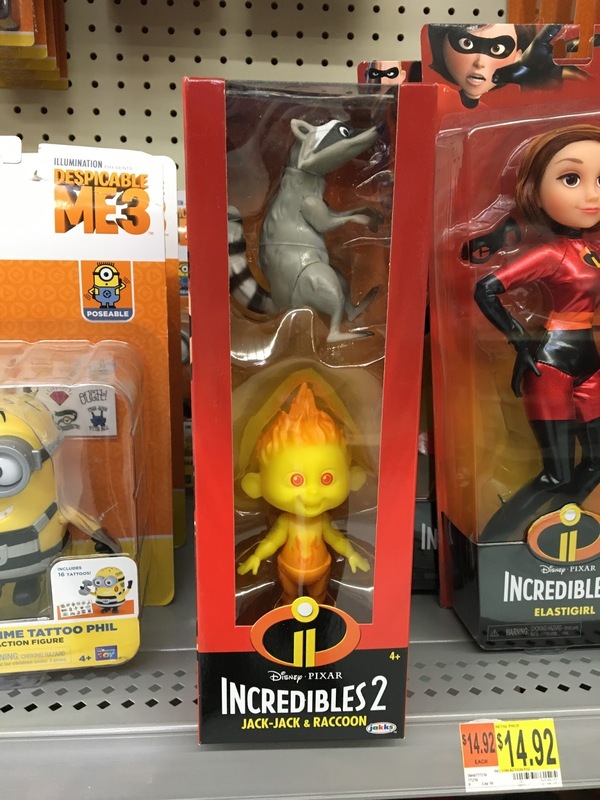 Well guys, it seems as though we now have official street date for all the Jakks Pacific Incredibles 2 toys...TODAY! Whether this was the plan all along or if the date was moved up, I have no idea. 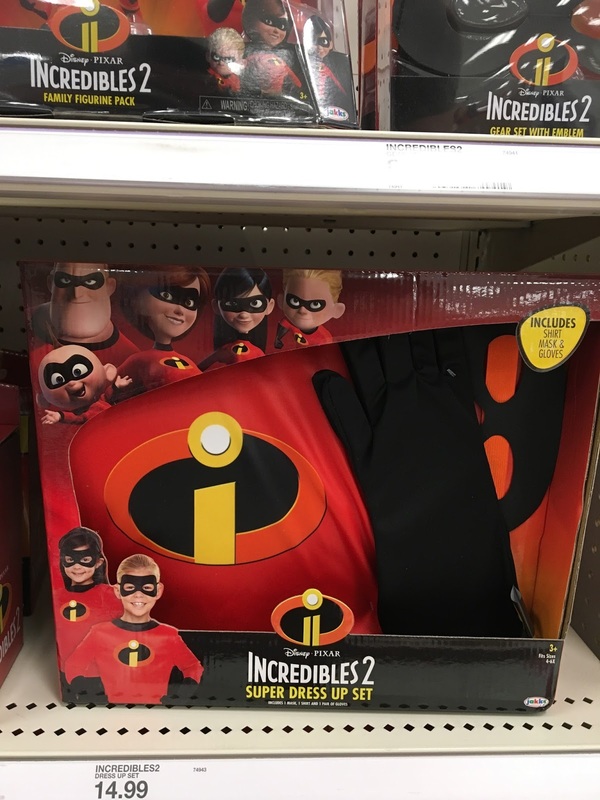 The important thing is that Target and Walmart shelves are now totally stocked with a ton of FANTASTIC Incredibles 2 merch! 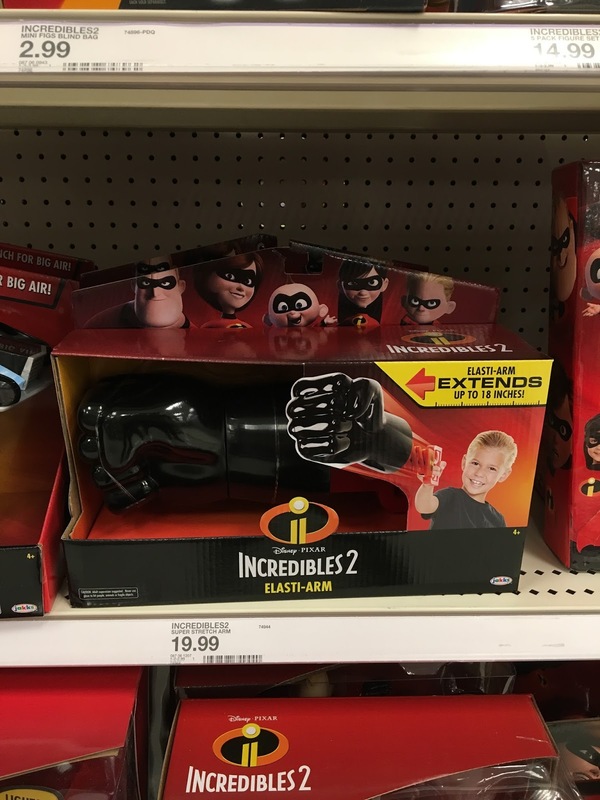 Glorious. 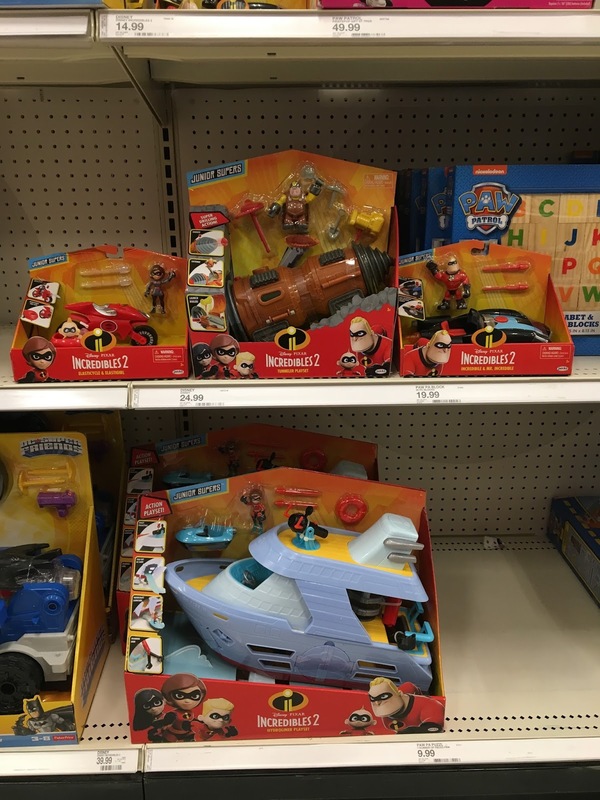 I went out early this morning on a toy hunt (for these and Star Wars Solo toys) and was surprised to find the Target employee just putting the last few things out. 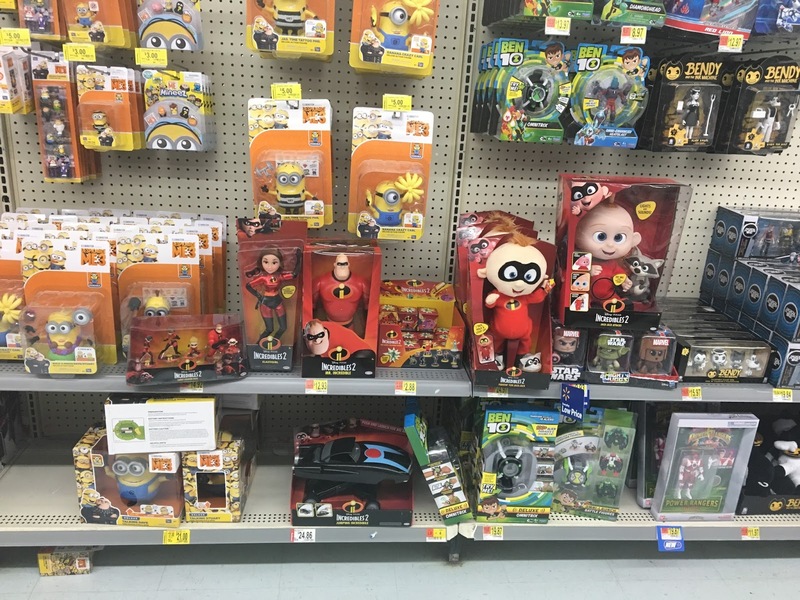 I had already seen much of this previously (early leaks have been happening here and there in my area for weeks now), but it was cool to see the section officially set and with a lot more stuff I hadn't come across yet. 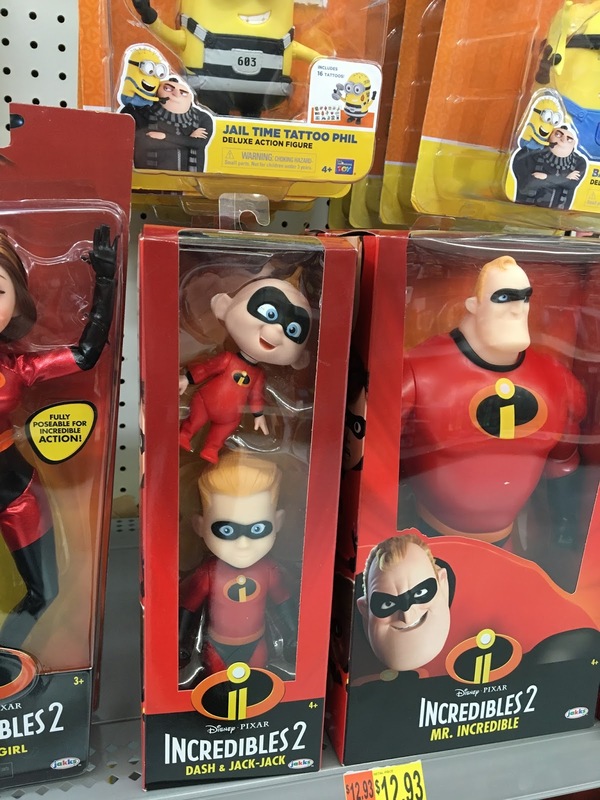 I have to say, Jakks Pacific did a really great job on this lineup and I'm so excited to dive deeper into many of these items with you over the next couple months! Here's an overview of this release. 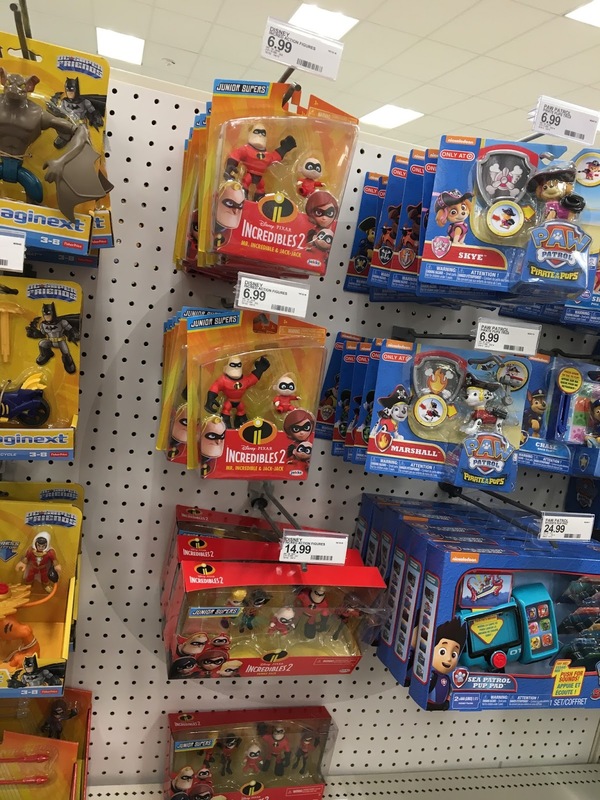 If you've followed me on here for some time, you may know that I love to document what store shelves look like with each new Pixar toy launch! 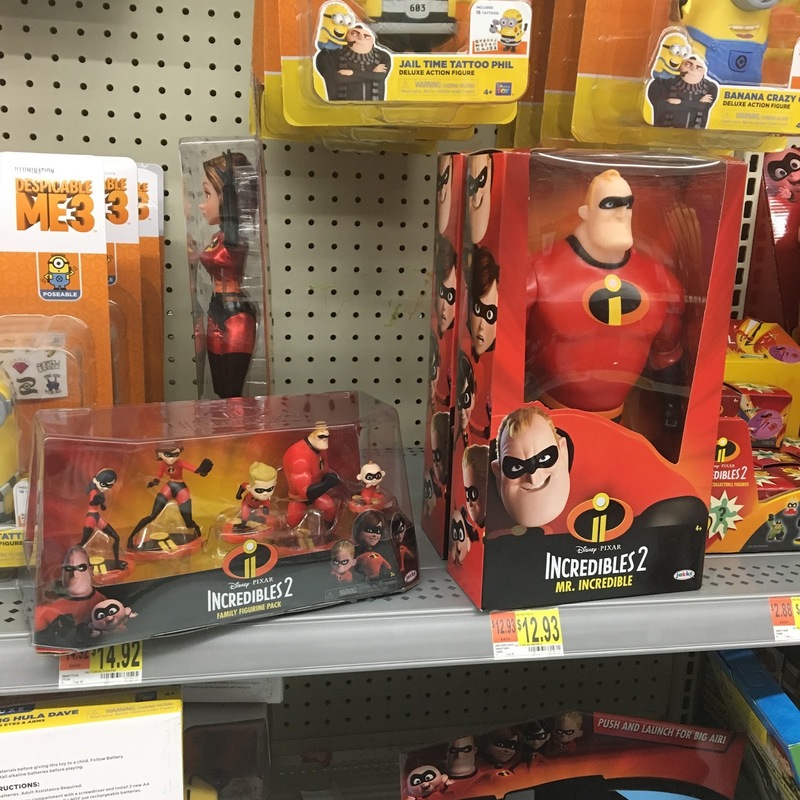 I've done this for just about every release since I started this blog in 2013 (which began with Monsters University merch). Enjoy some close up shots below, keeping in mind that this is just a sneak peek at many future blog posts to come. 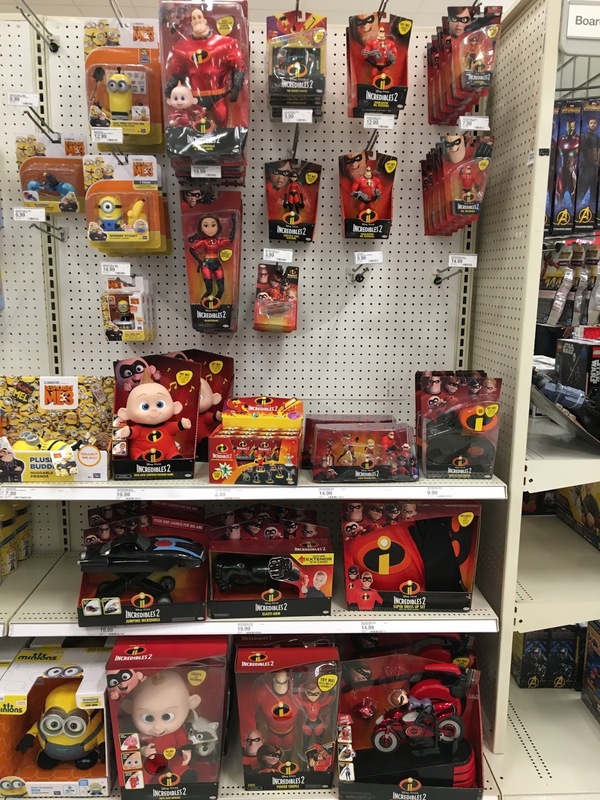 Note: The Disney Store/ShopDisney Incredibles 2 products were also released today, which I posted about HERE. 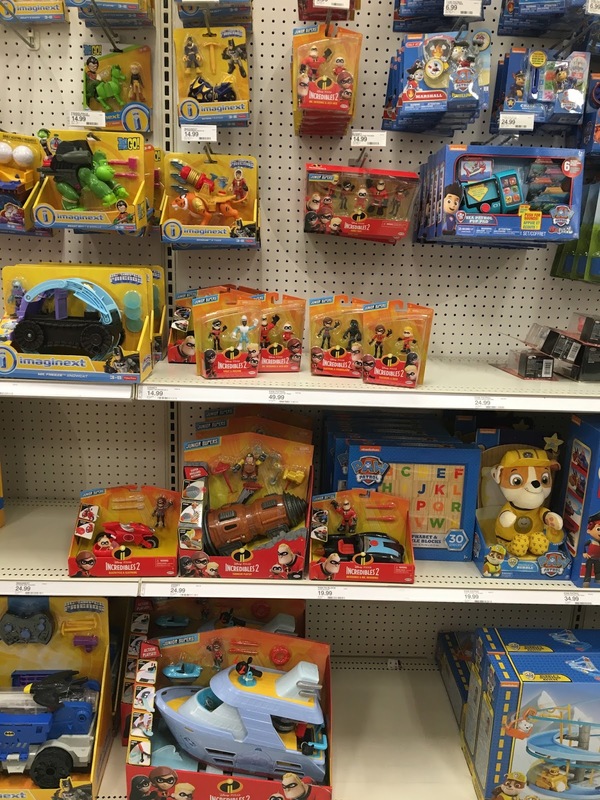 Additionally, if you missed it, check out my post from a little while back (though recently updated) on all the stuff I found early at Toys R Us HERE. 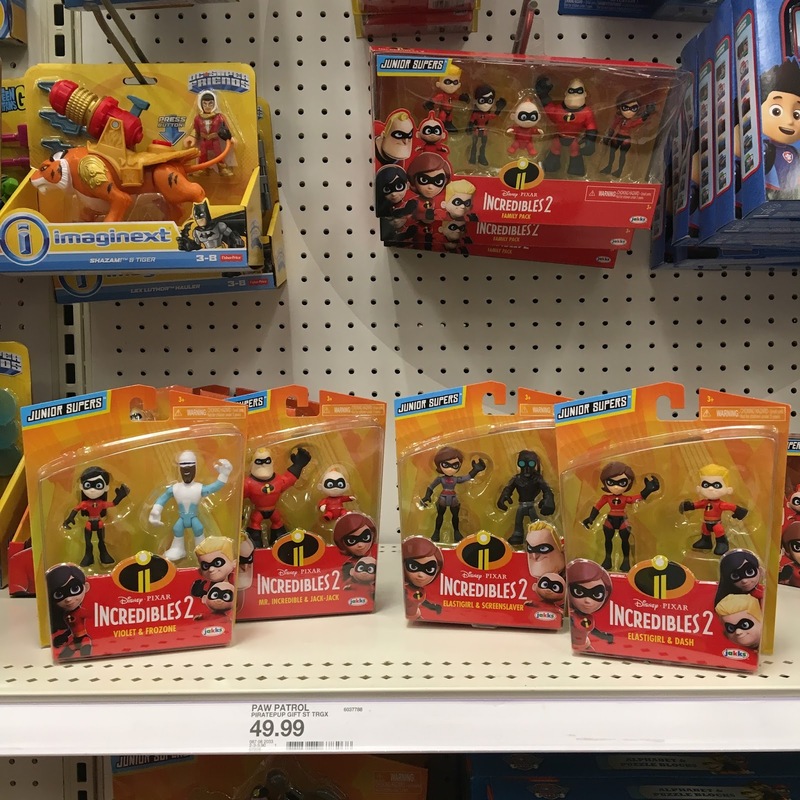 Separate from the main Incredibles 2 section at Target, don't forget to check the Imaginext isle for Jakks Pacific's "Junior Supers" line! 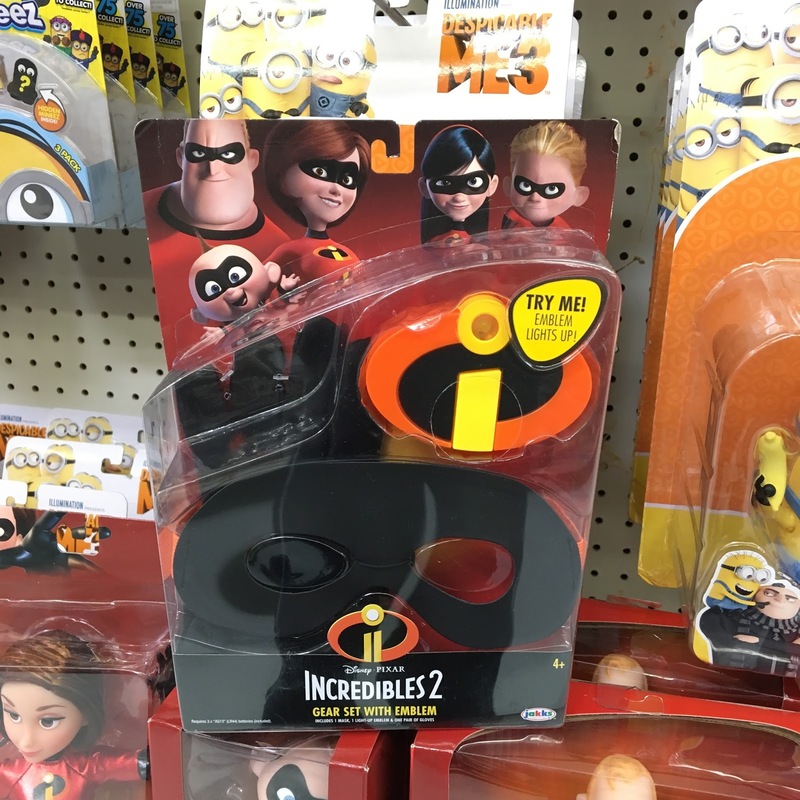 These are some of the items I was most looking forward to. They're so adorable! 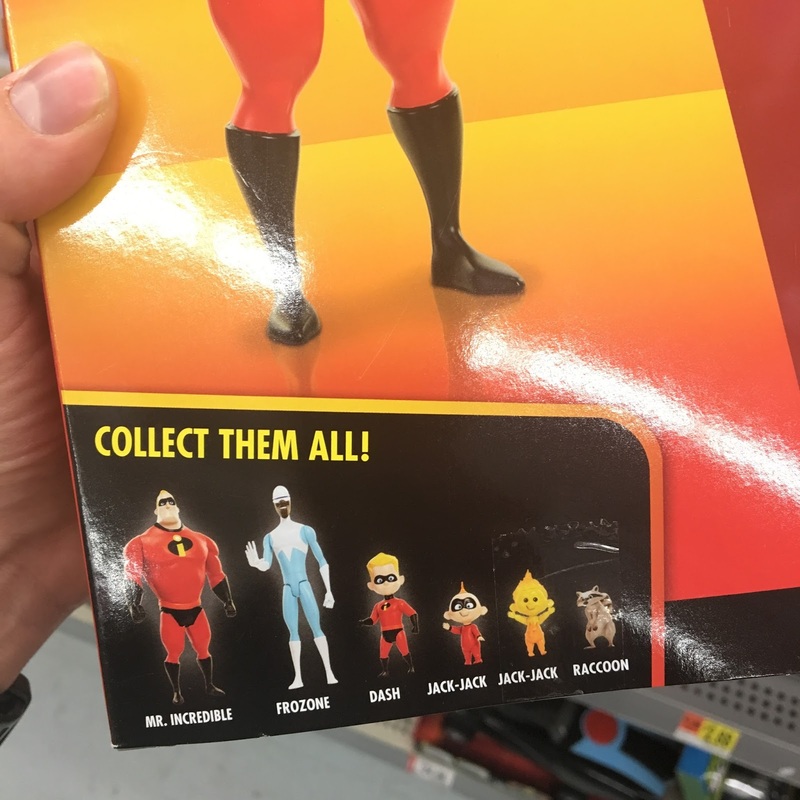 They had the entire lineup so far—with many more to come in the future I'm sure. 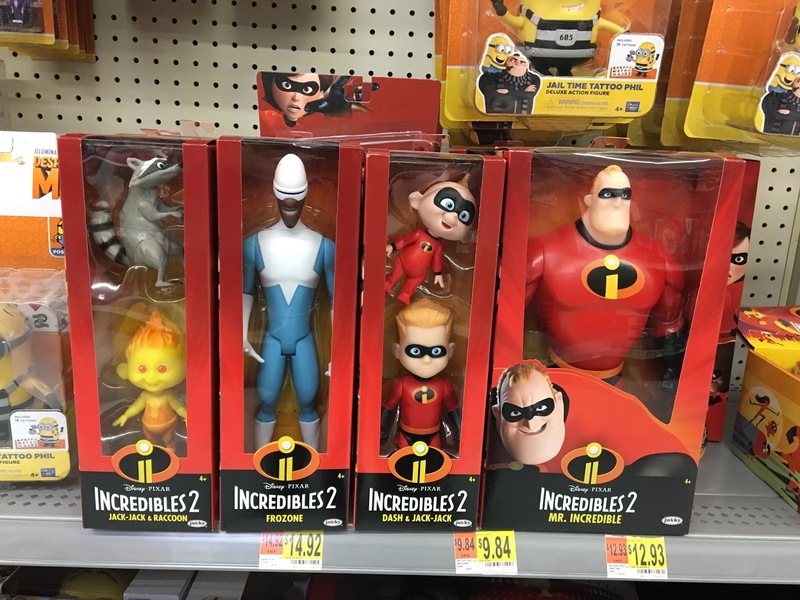 You know I had to snag them all. There we have it guys! 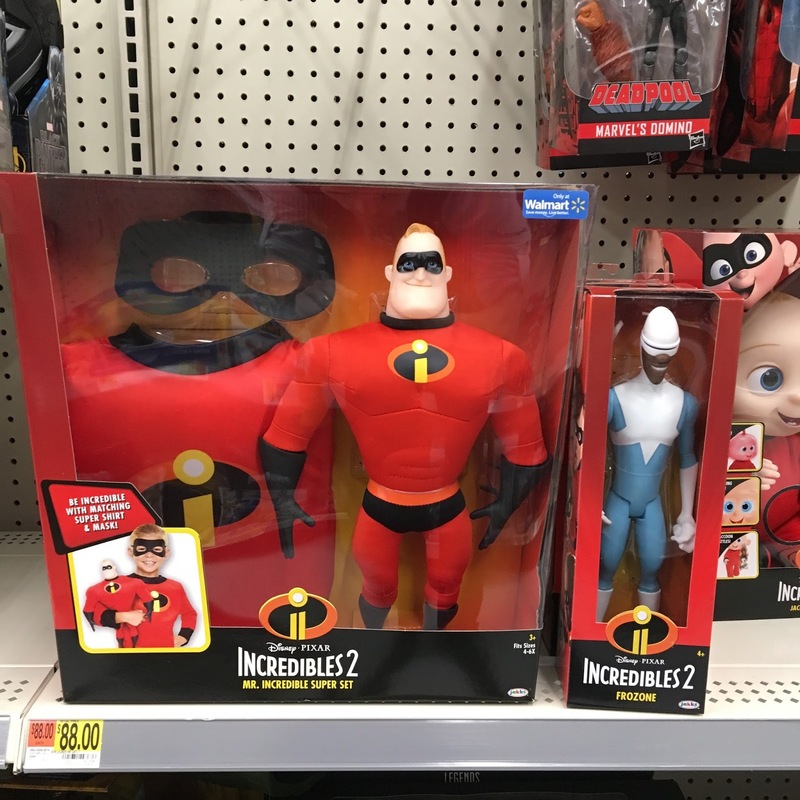 Visit your local Walmart or Target today to see all of this (and possibly more) in person —and be sure to share this post to spread the word about this release. 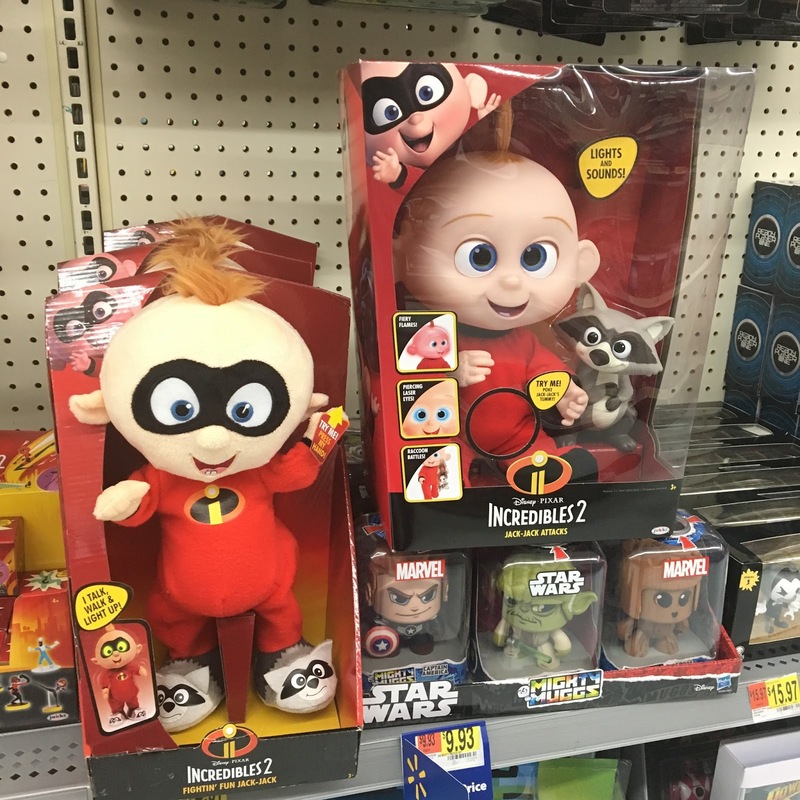 Definitely let me know YOUR thoughts on all this incredible stuff in the comment section below! Which items are your favorites? 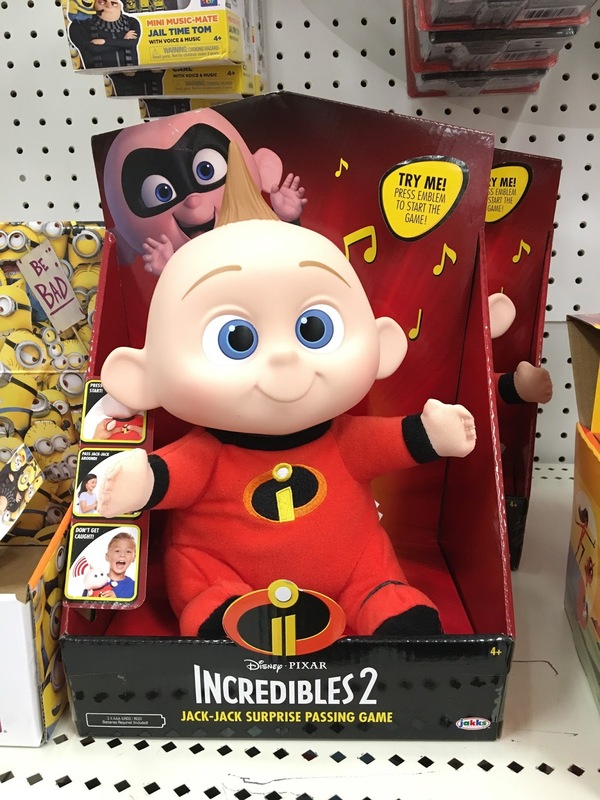 Which toys are on you "must have" list? Can't wait to hear what you all think!